Yoast is a very powerful WordPress plugin that makes bloggers life hell lot of easy. Yoast provides a great solution by suggesting minor updates to your blog posts to optimize it for the search engines. Within this post, I'll share a trick to use Yoast plugin for Blogger and non-WordPress platform. I have made the post a little descriptive to cover all the aspects so that all my fellow bloggers would get benefited from it. The first time I got to know about Yoast plugin, I wished Yoast plugin for Blogger was available. Just in case you want to know the features offered by Yoast have a look here. I tried and looked for the information on the internet if there exist any solution, but couldn't locate any. I really liked Google's Blogger platform from the very start of my blogging experience to till date. But not having a Yoast plugin for Blogger was upsetting me inside. Changing blogging platform just to use Yoast didn't sound a wise decision to me. Then, an idea rushed into my mind. What if I'm able to use Yoast plugin for my blog regardless of the platform on which it exists. Let me explain you this in more detail, but before that let's understand how Yoast plugin works. Webmasters who are familiar with SEO techniques know that we perform a couple of checks to ensure our blog post is search engine friendly. Similarly, what Yoast does is, it analyzes your blog-post content and based on the content written in the post it gives you suggestions to improve it. Meaning Yoast checks your blog post content line by line and word by word. Based on the checks, it displays notifications at the bottom. These notifications basically highlight several SEO checks in bullet points that should be present in your blog post. This can be done manually but it takes a lot of efforts and could be a quite tedious job to do. Red bullet point means that you have done something terribly wrong in your blog post from SEO point of view. Orange denotes that content is fine but still it can be upgraded for the best result. Green bullet point represents that you have done a good job optimizing the content. Now, in order to use Yoast plugin on your blog and validate the content, the prime requirement is that you should have a WordPress blog. I have dug the internet for many days and it seems that there is no alternative but that you must have a WordPress blog to use Yoast plugin. Let me add more twist to the story. Having an ordinary free version WordPress blog is not enough as it would not let you install any plugins on your blog. It requires a storage place where you can install the plugin which is not possible with the free version WordPress blog. This leaves you two choices. i.e either you buy hosting space and install the WordPress or self-host your blog which will save your hosting cost. Buying hosting space is out of the question as we don't want to waste our money just for the sake of using a plugin. A self-hosted blog could be possible but then you will need to have a sound level of knowledge to manage the blog and install the necessary software. Now the solution I'm going to share would overcome all the problems we discussed above. First thing first. You will have to find out a free WordPress hosting service provider to host your dummy blog. There are a couple of sites which provide free WordPress hosting. I find 000webhost the most popular and renowned hosting service provider than rest of the sites. 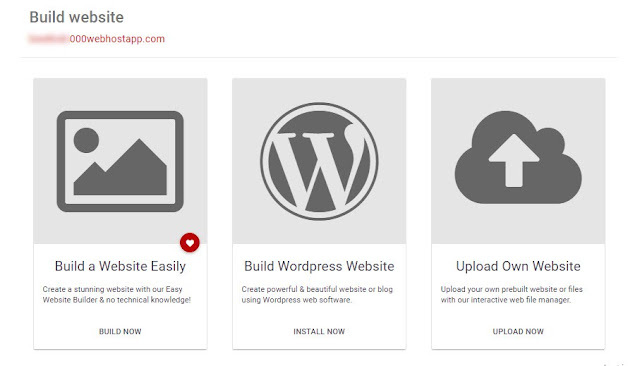 They will let you install latest WordPress software and provide great support to keep your WordPress software and plugins to the latest version. They provide hosting space totally free of cost. Now let's come back to our main purpose of installing Yoast plugin. Once you are 000webhost you will have to register an account to get the free hosting space. While registering you will be asked to enter an email address, password and domain name for your blog. 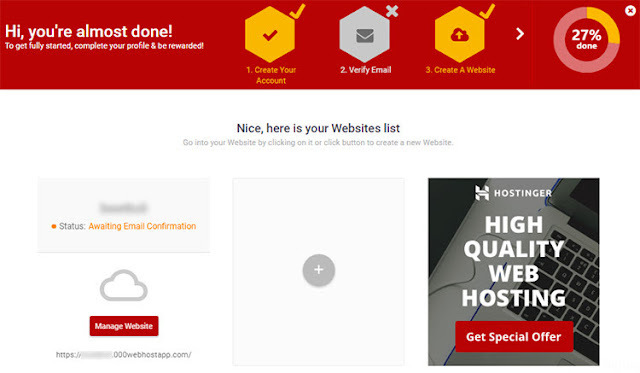 Enter these details and create a 000webhost account. On successful registration, you will be redirected to the member's area. You will be asked to verify your email before you proceed to create a website. Just verify it by clicking on the link you have received in your mailbox. Once verification is done, your website will be active and you will be able to do a further modification to the website. Click on the Manage Website button as indicated in below screenshot. Now to install WordPress software, click on the Install Now button just below the text Build WordPress Website as indicated in below screenshot. The next process requires to create WordPress account by providing username and password for managing WordPress blog. After clicking on install button, WordPress software will start to get installed. It will take 1-2 minutes. After installation click on Go to Configuration Page. A new page will open and will ask to enter credentials for WordPress blog. On successful login, you will be redirected to WordPress dashboard page as like below picture. Now in above picture, you will see Plugins option in the left sidebar. Move your mouse over it and select Add New link from the options that have been poped-up. Click on the Popular tab and you will see Yoast in the top results. Click on the Install Now button to install the Yoast plugin. After installation, you will have to click on Activate button from the same window to activate the plugin on your website. With this step our installation process is complete. Now to use Yoast plugin for Blogger/ non-WordPress platforms follow the simple trick mentioned below. I am going to demonstrate this for a Blogger blog. Keep the WordPress blog open in the one tab of your browser and open Blogger blog in a different tab. Let's say we have completed writing the Blogger blog post and want to optimize it for the SEO. Now, since we don't have Yoast plugin on the Blogger, we are going to copy the blog content from Blogger and optimize it on the WordPress. We will copy the HTML code which is been generated at the backend to retain the formatting. Hence after writing the complete blog post, click on the HTML tab to view HTML code of the blog post. See below picture for more information. Copy entire text displayed in the HTML view and toggle to the WordPress window. From the dashboard page, mouse hover the Posts link and click on Add New option. It will open a post editor window. Now click on the Text tab in the upper right corner of the post editor box. Paste the copied content in the textbox. Similarly, copy the blog post title from Blogger to WordPress. After this process, scroll down a bit and locate Yoast SEO box below the post editor. Here, enter focus keyword of your post to get the best result from your SEO strategy. See the below example. If you scrolled a bit more in your WordPress window, you will see an analysis report generated by Yoast plugin. Red points indicate that these changes need to be made in your blog post to make it SEO compliant. Orange indicates areas of improvement to make it even better. Green ones are just fine and no need to worry about it. Once you have made all the changes and converted as many red and orange points into green one, you have done optimizing work for your blog post. After this process, you will have to click on text tab again to get the updated HTML code for the revised content. 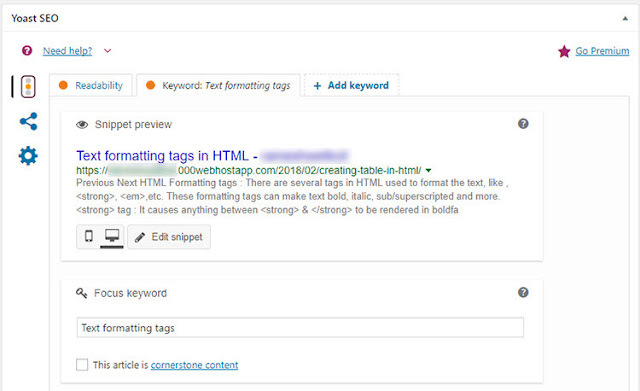 Copy the entire text and paste it into the HTML tab of your Blogger post. This is how you will be able to use Yoast plugin for Blogger / non-Wordpress platforms which do not support Yoast plugin. The procedure requires a little effort from that of the WordPress users. But once you have set up the WordPress blog as we discussed, you will only have to do the copy paste work. With this trick, you will have Yoast at your feet and you would be able to do the SEO task with more convenience. Since using Yoast is time savvy, you will be more productive and your posts will have more weight from SEO point of view. Happy optimizing! 1. There is no limit on using plugins as such. You can use them as per your requiremnt. These plugins must serve your purpose. If not keep the count to minimum. As far using 18 plugins is fine, though it should not hamper productivity or quality of your blog. I'm saying this because these many plugins may need maintenance, it may affect loading time of your web page as different plugins may require different set of codes to be processed on back-end. Having said that if those plugins on other hand are adding value in overall blogging experience you should not worry about using them all. 2. I use free fonts from Google. So for heading I use "Montserrat" and for body text "Lato". The WordPress plugin "WP Google Fonts" should be fine for this purpose.